UBS on Campus opens 9.30am-4.30pm Monday-Friday from Monday 4 February. During Orientation it's also open 11am-3pm weekends 16/17 February, 23/24 February, 2/3 March. UBS Great King Street is open 7 days: 8.30am-5.30pm Monday-Friday and every weekend from 10am-4pm. 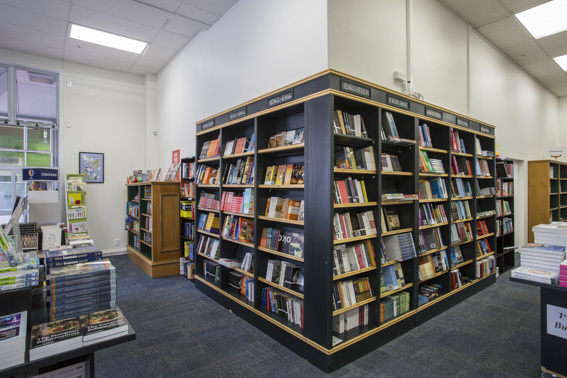 Step into our cosy atmosphere with booksellers who know about all the textbooks you need for Semester 1. Phone 03 477 6976 or email textbooks@unibooks.co.nz for more information. 2019 Buy Back: We've got your back... your Buy Back that is! Check out the list to see which books are being accepted back. Bring them in to either UBS On Campus or UBS Great King Street during opening yours and we'll refund for you. Don't forget to bring your student i.d. and eftpos card.